May buy 1 for yourself and 2 additional as gifts. May redeem 1 per visit. Tax and gratuity not included. Reservations required and subject to availability and weather. Does not include lodging or camping. Cancellation/re-scheduling policy of 7 days applies or voucher subject to forfeiture. Must be age 10+ to redeem. Must sign waiver. Entire value must be used in a single visit. Click here to see full terms and conditions from Get in the Wild. Valid through: May 31, 2016. See the terms that apply to all deals. Adventure, joy, relaxation...these are a few words that describe the unique experience awaiting you on your full-day outing for two. 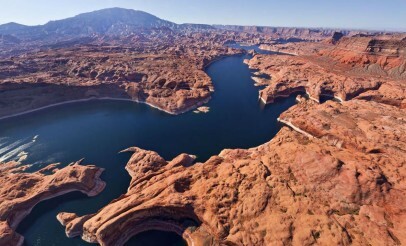 You'll meet in Hanksville and then drive to a spectacular canyon destination. A professional guide will lead you on the outing and a healthy lunch will be provided. 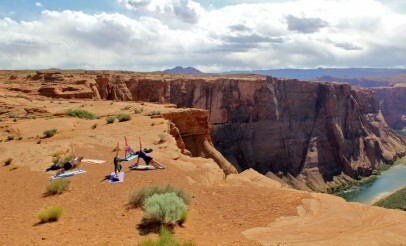 Following your yoga adventure, you'll return to Hanksville in the late afternoon.